We are more than happy to be attending the Dscoop Conference in Vienna this month! At Dscoop EMEA, locr will be presenting case studies on how printers across Europe have helped their clients to overcome marketing challenges by providing personalized maps in direct mail campaigns. And as the good guests that we are, we brought a little something. This time, it’s an exclusive bar and hotel guide for our fellow Dscoop attendees. Vienna is a vibrant and extraordinary city that, like no other, unites history and modernity. 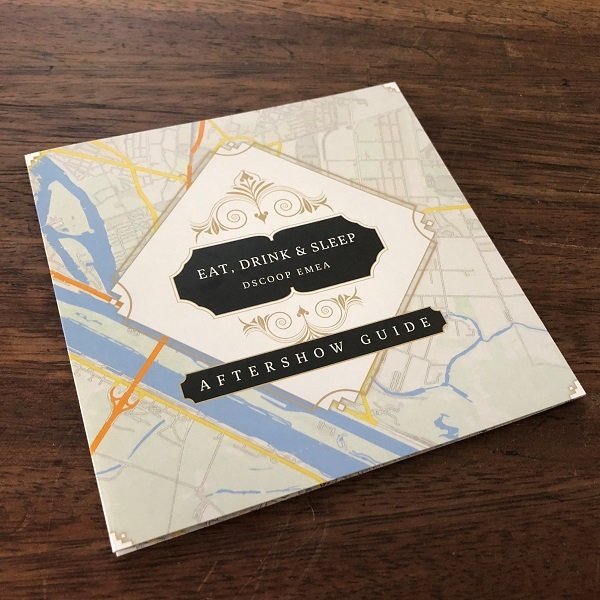 To help Dscoop members discover more of this gem, locr created an Aftershow Guide with all things conference attendees need to know—for their after show activities. 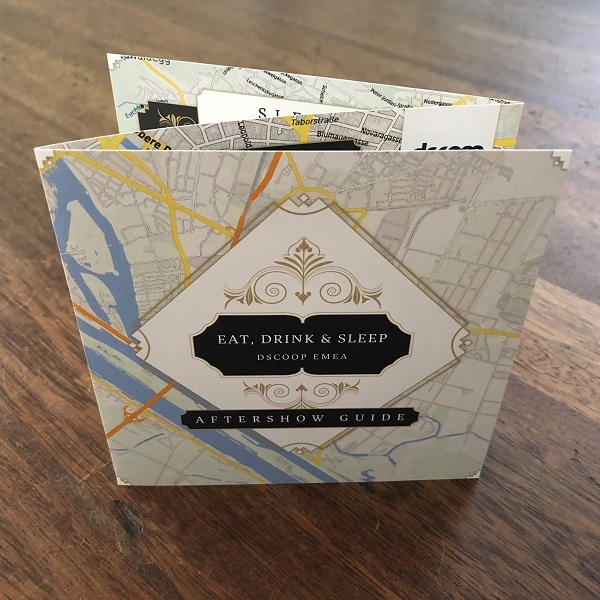 The Eat, Drink and Sleep guide highlights 16 restaurant and bar locations in Vienna’s city center near the conference venue at Messe Wien Exhibition & Conference Center on a personalized locr map. The other side of the piece shows a second personalized map with 15 selected hotels also near the trade show location. A Guide as Glamorous as the City itself! Experience Vienna’s very own charm in one of the city’s traditional bars and restaurants. Perfect for a cool drink in good company! Recharge your batteries for the next Dscoop Conference day in one of these selected hotels. Soft pillows and great views included! If you’ve discovered Vienna with our Eat, Drink and Sleep Guide—let us know which were your favorite locations. Have anything to add to the list? In case you weren’t attending Dscoop to grab one of these guides, watch out for the next event and locr’s exclusive location guides! We’re happy to help you plan your next geomarketing campaign! Send us an email or talk to us directly.